# Well, if you look at the cross-section of the light you see that there isn’t very much material you could take away when you still want to have a decent wall-thickness (0.75mm). # A good part of the charm of this light is the e-switch in the tailcap. There are masses of lights out there which use a clicky-switch at the tail or an e-switch in the head. Understand. Though personally I strongly prefer efficiency over originality. And actually the love of efficiency makes this light so interesting for me. In many places the design is super-efficient. But because of other choices, the final light is not so much really. # You sacrifice 3/4 of the battery capacity if you go for an 18350 tube. So the idea is to make the light so compact that there is no real need for a smaller battery tube. More like 1/3 nowadays (real 1100 mAh in Aspire 18350). But anyway, sometimes this 1/3 is simply enough. My current light has 1/10th the energy of 18650, yet it’s enough too. So anything extra is just unnecessary weight and bulk. Right. I missed the fact that there’s no good place to have threads. Thanks for the explanation. So it seems like the Manker E14 ii or the Astrolux S42 would be the better choices for you, considering that you want a smaller body. Otherwise look at the “foursevens atom series”:http://www.foursevens.com/products/AL-HE. My pick is S2+ triple. Shortened. Similar output to FW3A in ~70×24 mm, 1/3 smaller than FW3A. If I did the same with 18700 tube, that would be ~105×24 mm – similar volume to FW3A despite seemingly less dense interior. Well, strictly speaking, FW3A is smaller than 94.8×25.5 cylinder that I use in calculations because of the cutout in the middle – but it doesn’t make it more packable. I told my sister that her newborn baby was really cute, but that she’d be even cuter if her face weren’t so round and her head not so bald and her eyes weren’t so squinty and if she didn’t smell quite so- peculiar. She said she’d try to do better next time. Yep. This is an interest thread for this light. Not a suggestion thread on how to make a light that has nothing to do with the light being offered. That Aspire 18350 is not a high performer. Interesting option for a 18350 though if you don't want high amps and some extra capacity. I like this FW3A for what it is - max cell power in a compact EDC with a unique custom look and style. 94mm long has gotta be the smallest single-18650 light with a tailswitch. Well done! To get shorter than that you pretty much have to use a twisty or an electronic side-switch (like the DQG18650), or sacrifice battery capacity and output while switching to a smaller battery type. I’m really looking forward to the FW3A. The design looks amazing. If I were changing anything about it, the changes would be minor. Maybe add knurling on the body tube and some heatsink fins at the head. It doesn’t have a tail e-switch in order to be original. I designed the light with a switch in the tail rather than at the head because I much prefer tail-switches and am willing to sacrifice these 0.8 or something millimetres in diameter for that. Given the big interest in the light, many feel the same way. So it is just unfortunate for you that you feel differently. And in the end it all comes down to personal preference and the willingness to make compromises. That’s why I don’t really think it makes sense to discuss the design further with you, since we just have different priorities when it comes to EDC lights. I don’t mean to be rude or just dismiss your suggestions, every form of feedback is appreciated, but what you are suggesting goes quite against what this light is meant to be or designed for and would require some more or less drastic design changes. Anyway, thank you very much for your feedback! I am so looking forward to this light! I love the little AAA Lumintops with the tail e-switch and to me this is a natural evolution in the tail cap clicky world. Tail cap clicky lights have to be my favorite, since I edc in jeans and would rather not screw with locking out a light. Can’t wait!!! Understand. Different people have different needs. I with you fun with this light. 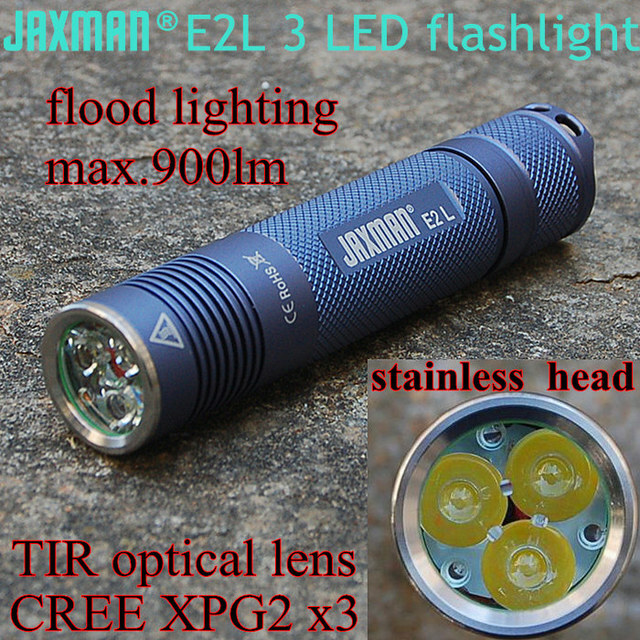 94mm long has gotta be the smallest single-18650 light with a tailswitch. Depending on what “counts”, it might be. The Nitecore HC50 is 86mm long and has a 2-stage switch on one end… but it has the LED on the side instead of the head. It’s also 32mm wide, so that adds a lot of bulk. 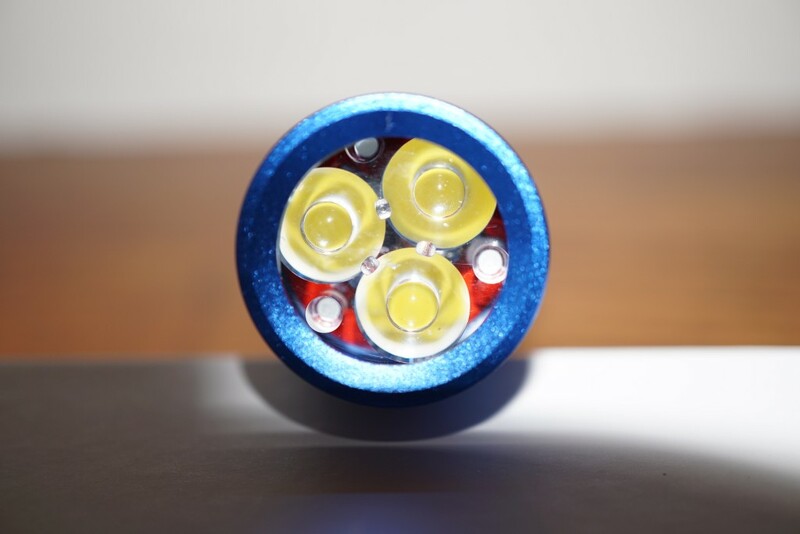 I don’t think the FW3A is really meant to compete with a S2+ triple, but it could be seen as an alternative to a Sinner or Okluma or Oveready or other similar high-end light. If someone wants a really small version with a side switch and a smaller battery, perhaps the Olight S Mini? Now look at the cross section and see how tight yet smart the head is designed. I prefer well-designed e-switch UIs over anything that’s possible with a single mechanical switch. The main thing for me is shortcuts from off to various useful modes (no, almost every Chinese flashlight company ever, strobe is not a useful mode). And like the Convoys, it’s in the large-EDC size class, which is certainly how I plan to use mine. I’ll probably get several so I can match the emitters to my mood each day. That’s 3% difference. It’s said that the difference in throw is higher, though there are no measurements. Nice to have, definitely. But not a big deal. I prefer well-designed e-switch UIs over anything that’s possible with a single mechanical switch. Yeah. I have ramping on clicky-switch lights now, and it’s nice, but Narsil is still better. There’s only so much which can be done when the switch physically cuts the power. Agreed. I prefer e-switch UIs over clicky UIs. Even the best clicky UI doesn’t compare. I agree, I much prefer an e-switch compared to a conventional clicky. Interestingly, Texas_Ace reported an around 10% increase. So probably it is somewhere in the middle. And well, even 3% are a lot of light if you are just shining it into the bezel. Of course, if any owners of an S2+ really feel that strongly over the loss of lumens in the bezel, you can pretty easily correct it by widening the bezel opening with some sandpaper or a small curved file. I much prefer a clicky mechanical switch with the option to reverse direction. This type switch has a more positive action that is less easily engaged accidentally. That said, I have over 100 flashlights currently and variation is a key to the continued interest in flashlights in general, so the ability to pass up on a custom designed BLF Special Edition light with the unique function of an electronic switch at the tail is simply beyond me. If it were made of Titanium it would be all that much more attractive as I’m just a devout addict where Ti is concerned. Sometimes brass does that to me to a degree and I’m finding it increasingly difficult to resist a well made solid copper light. I’m weak, I know. I’m so very weak, and fragile! I’m interested! Is there an approximate lumen range now, and for me most importantly: is there a warm white possibility? Completely and utterly disagree with suggestions for a smaller size and battery, you need an adequate run time in these types of lights, without it its just a “ooh look at this” light and not very useful for well, what a flashlight is for…walking in the dark with… I actually have some of the past BLF lights with the shortened tube option. Its interesting, kind of neat looking, but not useful really. can you add me to the list for 2 lights? the vorpal list went snicker-snack. Beware the luminous BanderFritz, my beamish boy. … as soon as he’s done standing uffishly. Hey I am just busy so can’t edit any start posts but cheerful ad ever! Mr Miller I am in awe of your patience and your ability to keep up with the traffic on three separate blf special lights and the associated group buys. I imagine your hobby has morphed into a bit of a chore. The q8 thread alone has got to give you eye strain and carpal tunnel syndrome. I am glad that the blf has you around. Keeping up is not that hard, though now I need to do a lot so probably will do one thread lost per day. It is the program of Mr.Scott that is doing the hard work if I make the core list, grouping for the mass pm and for the GT generating a proper list, that is both precise and not nice to do by hand. interested in 1, will be my first triple.